Last week, a man contacted the police after he saw New Hampshire state representative David Campbell mercilessly kill six ducks outside a hotel. “All of a sudden, this 5 Series BMW comes up, it’s going about 15 miles an hour, and then when he gets to the ducks, it’s not like it even slowed down,” said the witness. 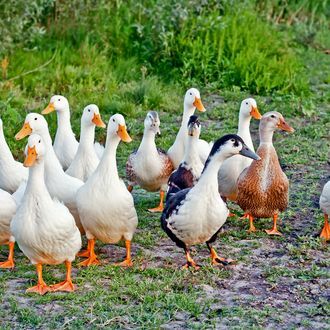 Shocked by the “blatant disregard for just everyone involved,” he followed Campbell, who told him, “The ducks should have moved.” Campbell did not dispute the story when reached for comment by a local newspaper. “I hit some ducks,” he said. “Some people were feeding ducks on the driveway in front of the Crowne Plaza at 10 o’clock at night … and they didn’t move, and I hit some ducks.” The cops are investigating the incident, but what happened seems pretty clear.